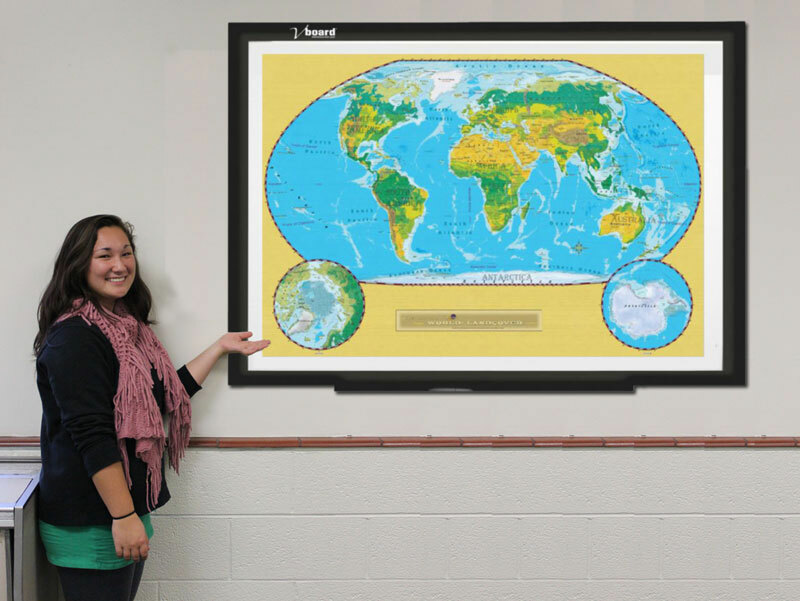 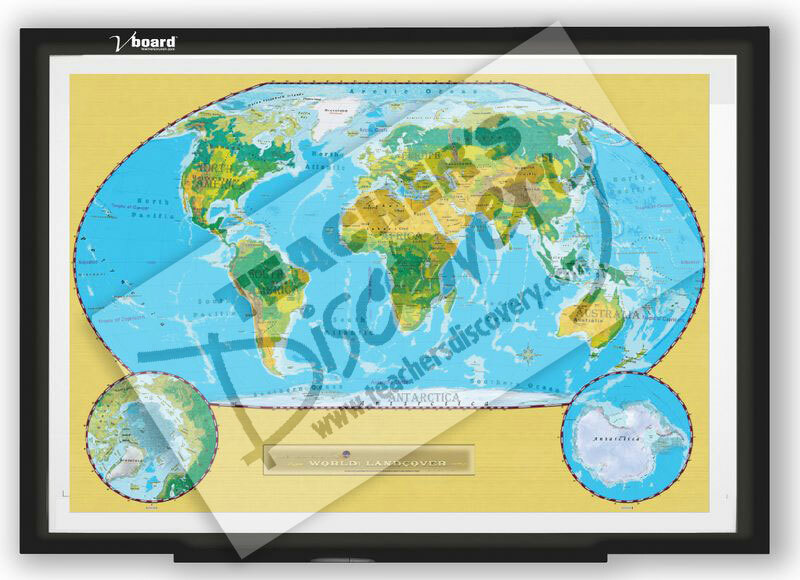 Digital classroom eMap™ on CD for use on a computer, projector or interactive whiteboard! 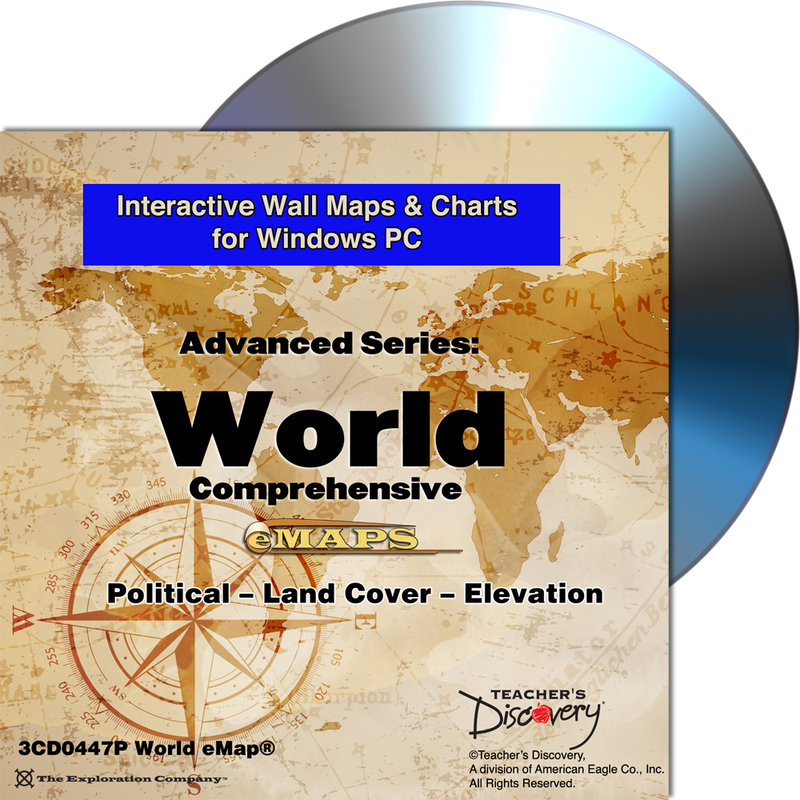 These interactive digital eMaps® on CD are more versatile and economical than conventional pull-down maps. 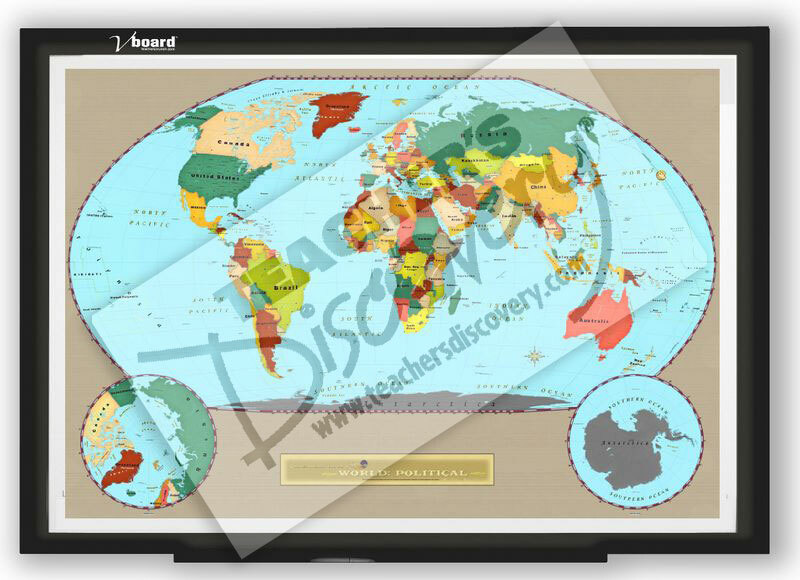 Use them with any projector system or electronic whiteboard, at a fraction of the cost of expensive online educational maps. 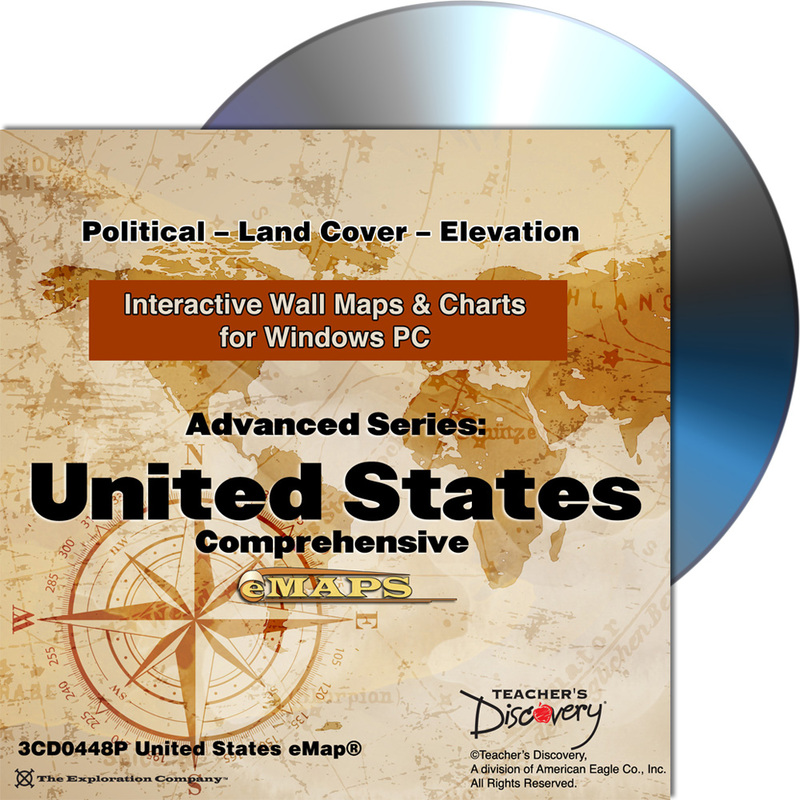 Covers political, land cover, and elevation.  Compatible with Windows PC only. 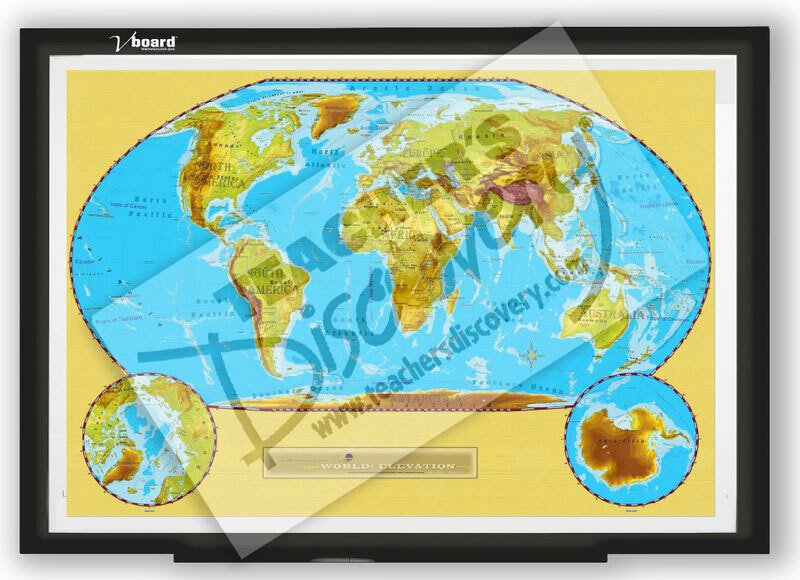 Leave only some layers visible, and hide the others for a completely customized map every time!  Will only work on Windows 8.1 or lower.